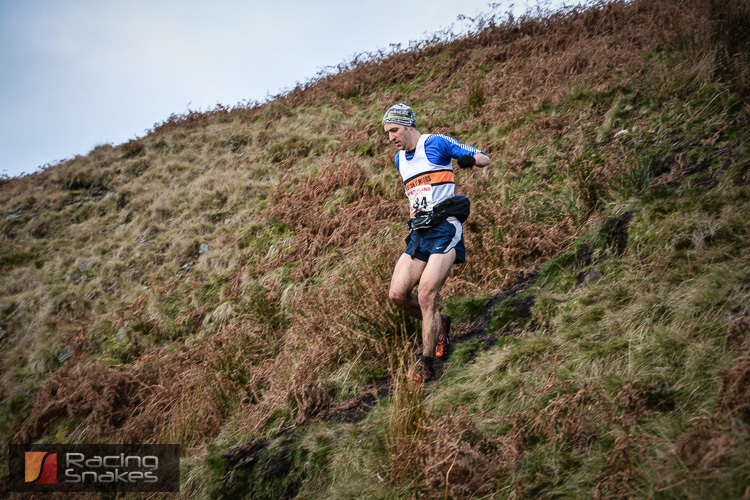 The Tour of Pendle fell race photos can be seen here http://racingsnakes.com/photos.php. The Tour of Pendle fell race is an established fell race that sets off from the lovely village of Barley at the foot of Pendle Hill. I took photos at three locations for the Tour of Pendle, firstly heading up the steep side of Pendle Hill and headed to the South Side to get the pictures of the Fell Runners as they ran over the flat summit with the Yorkshire Dales in the background. After Photographing every runner on the Tour of Pendle , I jumped on my cross bike and headed to the foot of the steep sided gill at Ogden Clough. I got there just missing the first of the racing snakes as they made good speed up the Clough. 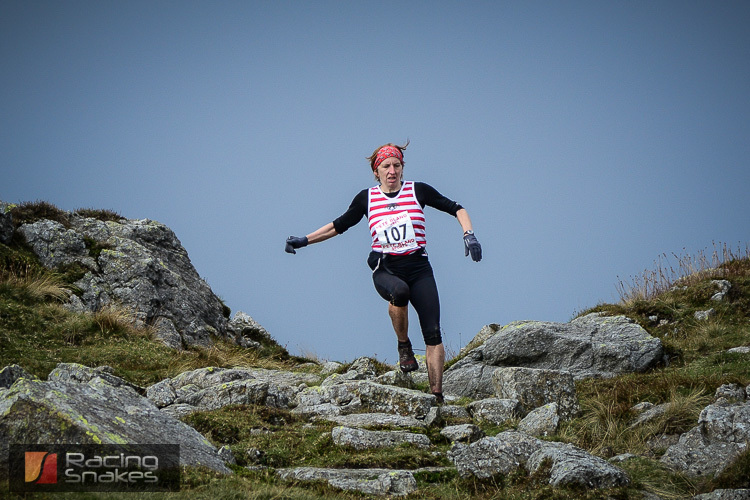 It was an impressive sight seeing the runners descending the steep side of the gill with the occasional excitement of calls as the rocks got dislodged and the calls to warn the other runners echoed around the valley. I took a number of pics of the Tour of Pendle runners as they crossed the stream and headed up the valley, the pain was starting to show on some of the runners faces. After most of the runners had passed I made my way to the safety checkpoint (checkpoint 4), this was going to be the next place to capture some great pictures, this location captured the racers as they neared the finish of the Tour of Pendle fell race. 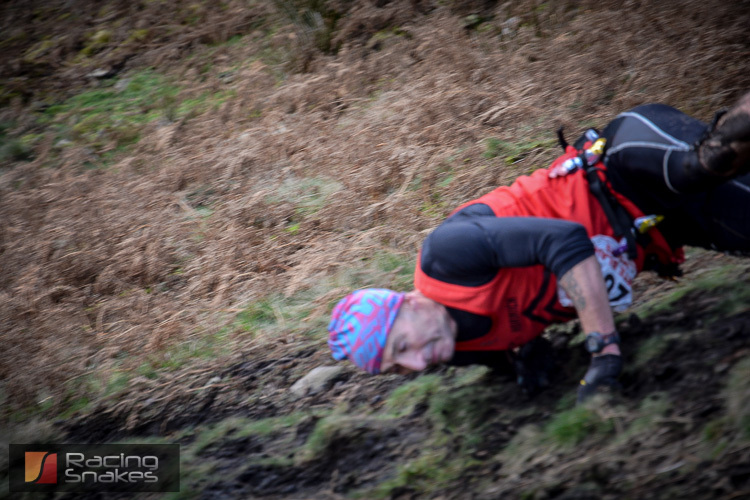 This was the last steep descent of the race and it certainly was steep and slippery with more than one racer coming to grief on the steep slope. Some great pics can be seen of the runners descending on http://racingsnakes.com. The temperature was dipping as the last of the runners passed through and it was time to call it a day. This entry was posted in Uncategorized on November 25, 2013 by racingsnakes. 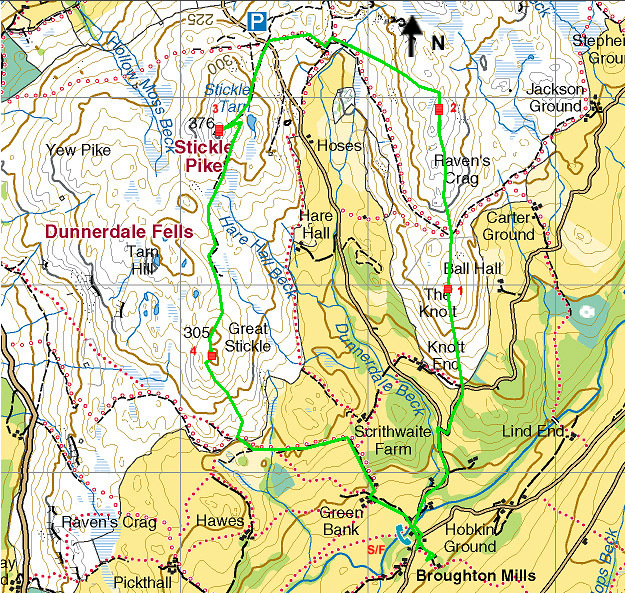 The race climbs out of Broughton Mills climbing The Knott and Ravens Cragg, at this point the race descends to the road crossing before climbing back up to Stickle Pike, the route then descends before undulating towards Great Stickle. From here the race descends back to the start at Broughton Mills. After the race there is food provided in the local pub. This entry was posted in Fell Race and tagged 2013, Dunnerdale, Dunnerdale fell race, Dunnerdale fell race photos, Dunnerdale fell race pics, fell race on November 8, 2013 by racingsnakes.